The World Trade Organization (WTO) is without doubt one of our main instruments of globalization, the controversy which is whipped up by this organization is arguably mainly caused by the mystery which surrounds it. The International Trade System seeks to remove the clouds of misunderstanding that circle the multilateral commercial system by clearly describing and explaining the processes, conventions and rules around which world trade functions. 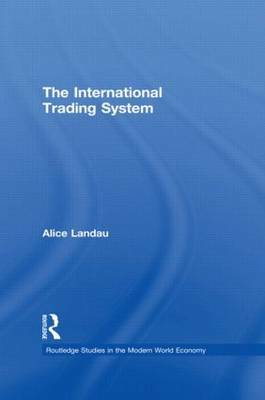 The latest developments in the international trade system can be understood with more clarity thanks to this book, academics and students involved with international economics, finance and business will find this to be an impressive read.